One of the beautiful things about Scotland is its geographical and geological make up. Wonderful mountains, stunning lakes and great cities. And over 790 Islands. 790!!! According to the 2011 census only 94 of these are inhabited. This means that as punishment for trying to break up our country, we can find a suitable place for Alex Salmond to be exiled to. 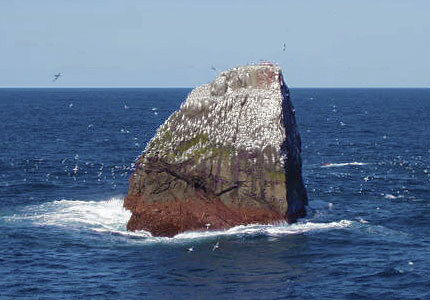 I suggest the island of Rockall. This was added to Scotland in 1972, but Denmark, Iceland and the Republic of Ireland all have claimed it so there will be a good deal of political battles for him to get involved in.